Today we will learn about difference between fan and blower. The fan and blower are two different kind of machines belong to the same group. Both these machines are used to flow a gas or mostly air in a large area but the main difference between fan and blower is that the fan is operate at low pressure while blower is operate at high pressure. These machines are used in many industrial machines for air conditioning or cooling purpose. The fan consist a rotor witch is equipped with some blades. This rotor is rotate by a electric motor or sometimes by a mechanical machine. It is primary used to flow the air into a large space. Mostly fans used to blow the air axially or the direction of the air flow along the axis of the rotor. Fans blow large volume of air with minor change in pressure. It has specific pressure ratio is 1.1. 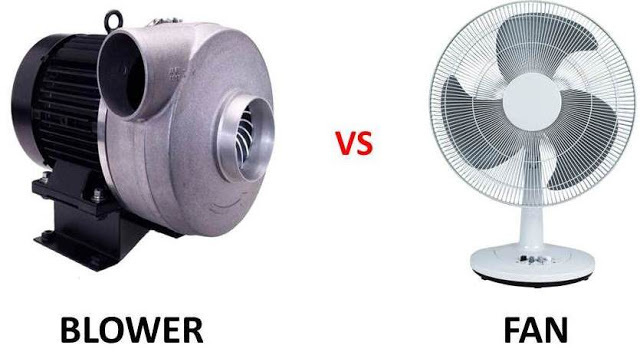 Blower is different from fan. It is a centrifugal unit which blows the air radially. It consist a impeller equipped with series of blades which are designed to flow air radially. It blow the air or gas with a moderate pressure change. The change in specific pressure ratio is 1.11 to 1.2. It is used to flow of gas or air in open space. It is mostly used to flow of gas in specific direction. It blows gases or air in every direction. Blower is used to point the air in specific direction. It is smaller than blower. It does not have moving blades. 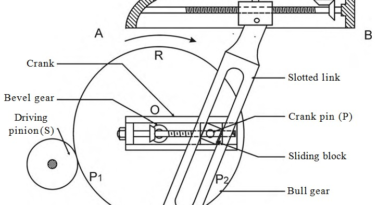 It may have moving blades to pointed air in specific direction. Today we have learned about difference between fan and blower. If you have any query regarding this article, ask by commenting. If you like this article, don’t forget to share it on social networks. Subscribe our website for more informative articles. Thanks for reading it. may I know how much fan in blower is better?